Today my sister-in-law and I decided to take the kids on a hike. Our favorite spot (a short jog to running water) has been "Closed Until Further Notice". So we booked it to another spot around the corner that promised running water as well. Water was the main attraction for today since it is a crisp 99 degrees here in Fallbrook. This was also my two year old's first hike. Ever. All he could talk about was sticks and water. I should also mention we had his cousin who is 1.5 years old and my youngest who is just 5 months. I wore the baby in an Ergo Baby pack. All children were slathered in sunscreen and well hydrated for the adventure. We walked a curvy, sandy, and (thankfully) shaded path under oak trees and vines. It was beautiful. Two sets of horses rode by us. No water in sight. The two toddlers with us were losing their cool. No water to play in as promised (yet), nothing but boundaries, and us saying 'stay on the trail' and 'let's keeps moving'. I don't blame them - it's a hike. For their tiny legs, a half mile probably felt like an eternity. A Little hard to see but we ran across some fresh mountain lion tracks. I think we made the right choice to turn back. I also think the hike back somehow became magically longer too. With a tiny curmudgeon crying on my hip and a sleeping baby in the pack - we made it back to the car unscathed. Did you notice I didn't complain about my sandals? They weathered the trail and toddler tantrums beautifully. I apologize for my toes, however, they managed the soft sand, random sticks, and the extra 50lbs of weight I had to carry just fine. I even wore them buckled! It felt good to get my feet dirty again. They held up well and I look foward to another hike - maybe without the kids next time. Today is 'Day 25' and my Chacos are holding up great. There's absolutely no wear or tear. I haven't been too hard on them - just walks with the kids and a few muddy days. I do find myself falling into an old bad habit. Im not buckling them - or rather - strapping them tight. Being 'on the go' as much as I am, I tend to forgo tightening them. They're quite comfortable loose and I don't really notice it until I'm running through the grocery store with an angry infant. I'll work on this (maybe). I'm hoping to kick things up a notch and test these out on some trails. I'll keep you posted!! 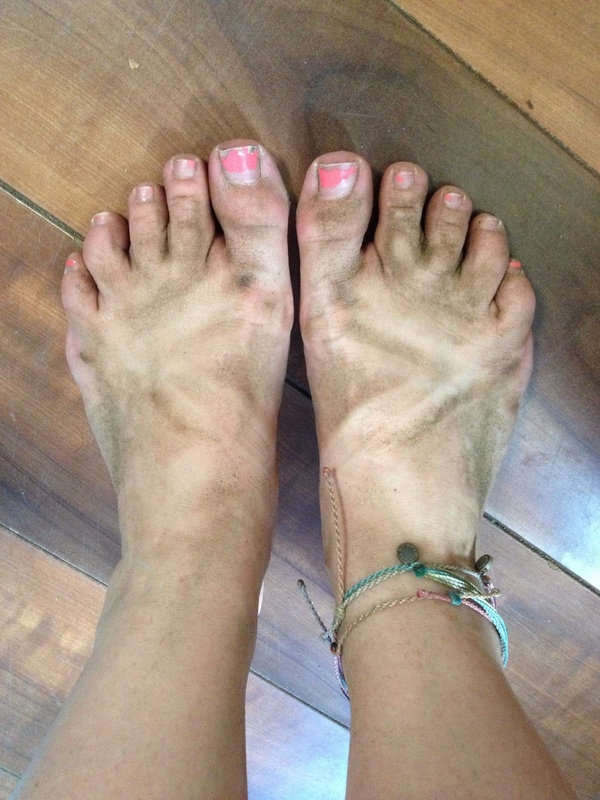 Chaco sandals are built tough and built to last. I bought my first pair of Z2's in 2002 and I still have them and they're still wearable. In fact, it was pretty annoying since new webbing colors would come into the shop and I could never justify getting them. "Luvseat" - All Chaco footwear is built with their 'Luvseat' footbed. Designed with a contoured arch, this footbed is made to support the entire foot, so much so, that it is certified by the APMA. 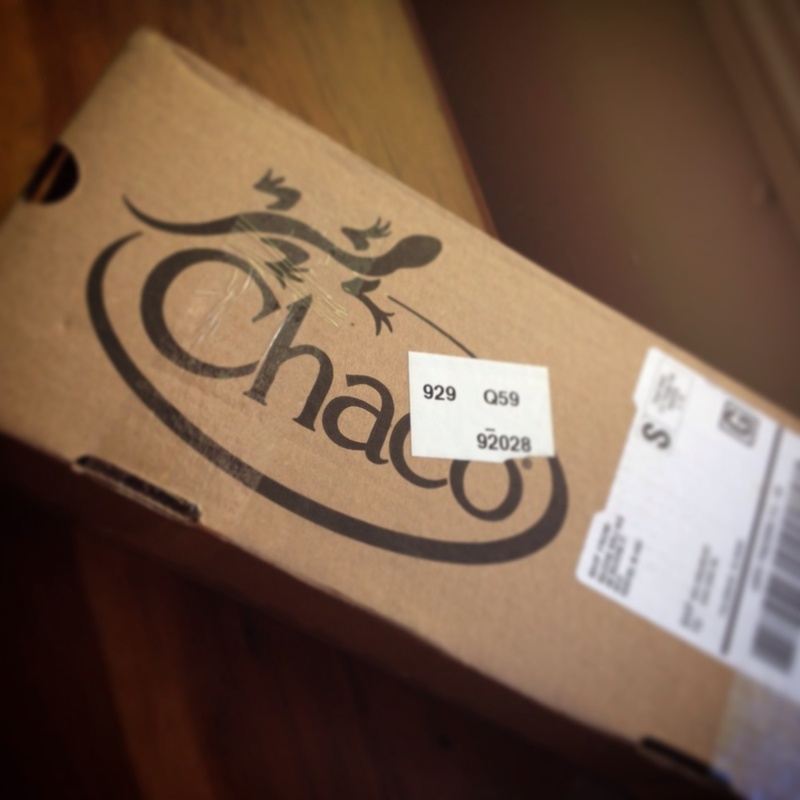 Materials - All Chaco footbeds are made out of a durable polyurethane (PU) compound. Unlike most other foams, PU doesn't compress with wear. This leads to a durable, long lasting product. Outsole - The Classic ZX2 style (that I'm wearing) has a Vibram outsole. This out sole uses Vibram TC-1 and MegaGrip compounds for performance in extreme conditions - like taking all of your children to the park. For more information about Chaco Footwear you can visit their website: www.chacos.com. Today I strolled my toddler and baby to the park wearing the new Chacos. If these can fair through soft dirt, rocks, uneven sidewalks, and park bark - then I should be able to manage 97 more days in these. I'll touch more on support and construction soon. My new CUSTOM Chacos are HERE. I wanted to test out Chaco for our next '100 Day Challenge', but I thought we should take it up a notch and see how this whole #mychacos option worked. I finally made a commitment after a few days of stewing over what color combo I wanted. Even after leaving the order confirmation page - I was left with anxiety. Did I pick the right colors? Will they even make sense? Will I be able to rock these for 100 DAYS? !